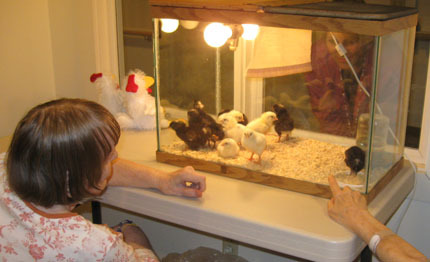 We're more than a skilled care facility - we're a family. At the Maples we offer quality skilled nursing care - but we also believe in care for the whole person. That's why we have a full time activity department which coordinates everything from daily exercise, music programs, socials, intergenerational programs, seasonal specials, and all-denominational religious services - to add fun and variety to daily living. Join the fun - see our activities calendar for dates and times. Each spring we hatch chickens from eggs. 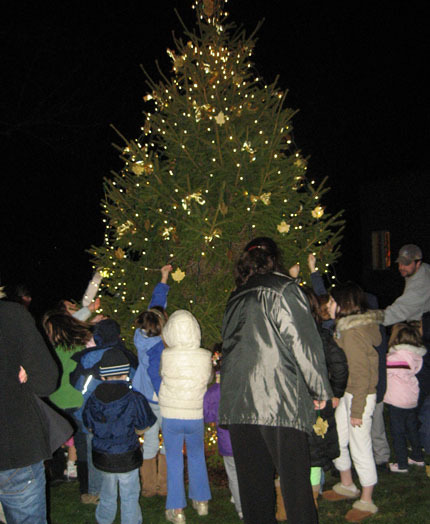 Our annual Tree Lighting brings the community together for some holiday cheer.